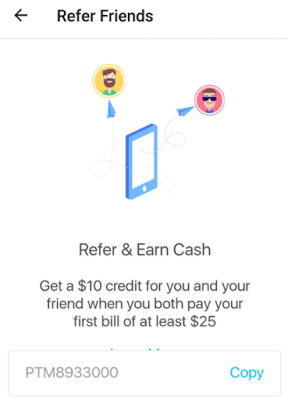 Last week, we introduced the Paytm new ability to send and receive money through the Paytm Canada app: http://www.canadianrewards.net/2017/09/paytm-send-money-to-friends-and-family.html I think Paytm really wants all people to link their bank accounts to Paytm and add money to Paytm Cash. Because Paytm currently has a new promotion. It is called “Upto 100% Cashback” Contest, which is sponsored by Paytm Labs Inc. (the “Sponsor”) and will open on September 11, 2017 at 12:01 a.m. Eastern Standard Time (“EST”) , and close on September 17, 2017 at 11:59 p.m. EST (the “Entry Period”). For one week, everyone will get 3% cashback. In addition, 5 potential winners will be selected in a random drawing occurring on September 25, 2017 in Toronto, Ontario, Canada from among all eligible entries received during the Entry Period in accordance with the Official Contest Rules to received an additional 2% cashback (amounting to cashback of 5%). One (1) potential winner will be selected in a random drawing occurring on September 25, 2017 in Toronto, Ontario, Canada from among all eligible entries received during the Entry Period in accordance with the Official Contest Rules to received an additional 97% cashback (cumulative adding up to be 100% Cashback). To get entries for this contest, you need to make bill payments using your Paytm Cash and your personal banking account 【not linked credit card】with the promo code PAYTMCASH. Credit card transactions are not applicable. This is a very good offer. 3% is higher than almost all the credit card returns. I will take this opportunity to link my bank account and pay bills (the more the better) during this week. Do a send money transactions that's are more than $30. It needs to be their first send money transaction.